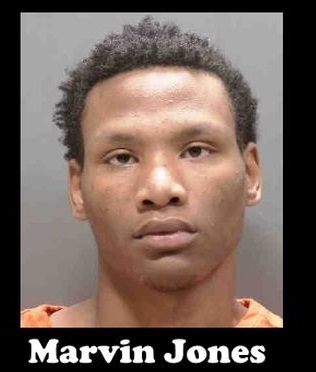 Better Call Bill Warner Investigations Sarasota Fl: Teen Thugs Marvin Jones, Brandon Reddish, Taylor Henderson, Jordon Jackson, Arrested for Strong Arm Robbery Starbucks Cattlemen Rd Sarasota Fl. Teen Thugs Marvin Jones, Brandon Reddish, Taylor Henderson, Jordon Jackson, Arrested for Strong Arm Robbery Starbucks Cattlemen Rd Sarasota Fl. Teen Thugs Marvin Jones, Brandon Reddish, Taylor Henderson, Jordon Jackson, Arrested for Strong Arm Robbery Starbucks Cattlemen Rd Sarasota Fl. The Sarasota County Sheriff’s Office arrested four people in connection with a strong arm robbery that left a man beaten in a Sarasota parking lot. Deputies initially responded to the 3700 block of Cattlemen Road in Sarasota Sunday just after 12:30 p.m., for the report of a strong arm robbery. According to the victim, he coordinated the online purchase of an iPhone through the popular “Let Go” app, a mobile application created for buying and selling items secondhand. When the victim arrived and made contact with the seller, he handed the seller $400 in return for the phone. The seller accepted the cash then tried to steal the phone back before pepper-spraying and repeatedly striking the victim in his head and face. The seller then fled the scene in a gold Buick sedan driven by another male, along with two passengers. A media release was issued to the public and a BOLO issued for the suspects and vehicle. Through investigation, detectives identified the subscriber to the Let Go app who posted the iPhone for sale, as Taylor Henderson, DOB 12/05/00, of Sarasota. 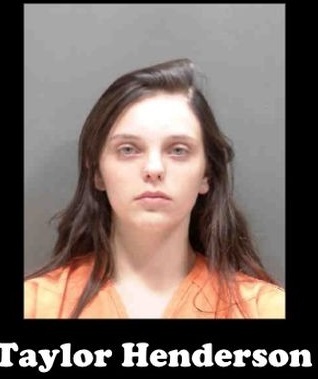 Taylor Henderson, of 7619 37th St. Cir. 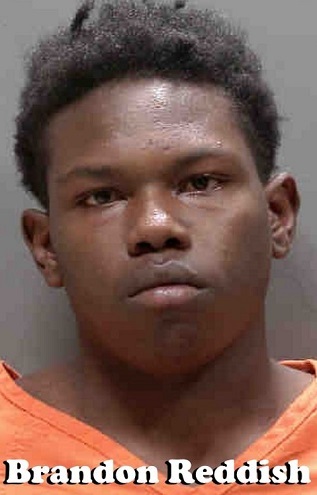 E., is charged with Principal to Armed Robbery. She was arrested Tuesday and is being held without bond. A witness at the scene reported seeing a female in the vehicle matching Henderson’s description, counting the stolen cash as the suspects fled. Detectives also located the vehicle used in the robbery and identified the driver as Marvin Jones, DOB 02/19/01, and main suspect who beat the victim, as Brandon Reddish, DOB 02/20/00. 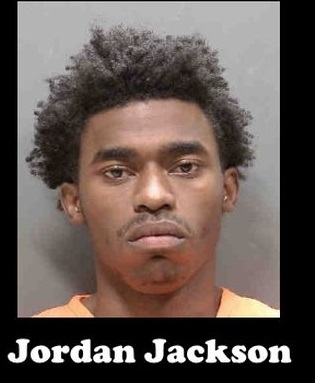 The other passenger in the vehicle was identified as Henderson’s boyfriend, Jordan Jackson, DOB 12/19/00, also of Sarasota. Marvin Jones, of 2620 S. 23rd St., Unit 104, Sarasota, is charged with Principal to Armed Robbery. He was arrested Tuesday and is being held without bond. Brandon Reddish, of 3022 22nd St., Sarasota, is charged with Armed Robbery, Displaying a Weapon During the Commission of a Felony, and Battery. He was arrested Tuesday and is being held without bond. Labels: Teen Thugs Marvin Jones Brandon Reddish Taylor Henderson Jordon Jackson Arrested for Strong Arm Robbery Starbucks Cattlemen Rd Sarasota Fl.